Continuing my trip to Tokyo, on one night I ended up meeting a friend by Shinjuku Gyoenmae. 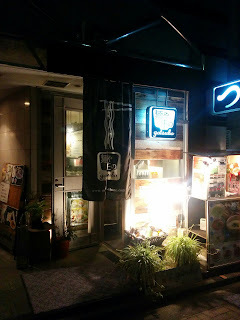 It was after I got back from Yokohama, and I needed some dinner. In Osaka I now have the problem of occasionally running out of new ramen shops at certain stations, but not in Tokyo. Some checks of my favorite ramen blogs and I found Menya Sho no Gotsubo. Gotsubo makes "veggie tsukemen", which means tsukemen that features vegetables - vegetarians beware: there is meat in the broth. In particular, the choices are shrimp tomato or chicken ginger, the latter of which I chose. The plate was laden with a colorful garden, all meant to be sampled with the chicken ginger dip. 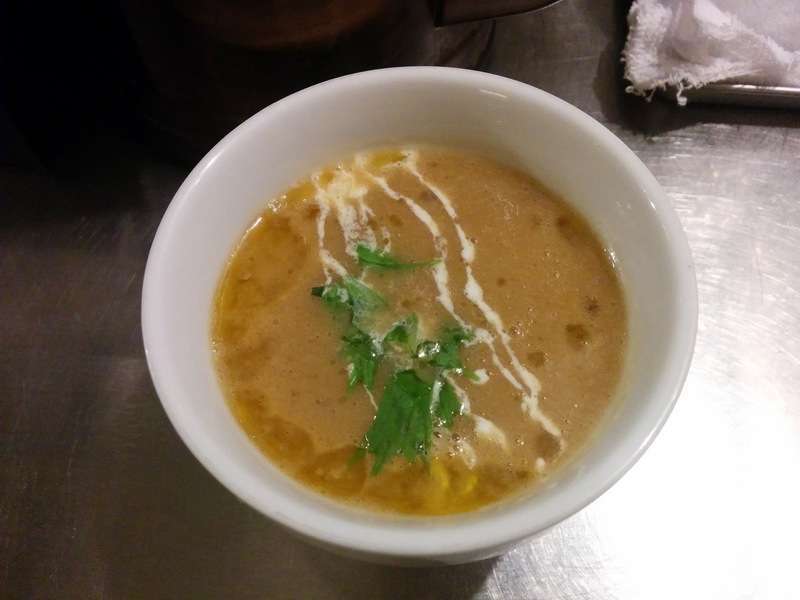 The broth itself was a thick and creamy potage. It overpowered the vegetables at first, but as the flavors of the vegetables were mixed in, it balanced to a nice, mild medium. I particularly enjoyed the light and crispy pieces: potato and lotus root chips, and watery but crunchy radish. A bit in the direction of more normal toppings were a juicy bit of pork, and an egg that tasted slightly of ume. A wild experiment combining a heavy tsukemen with a panoply of vegetables, and a successful one at that. I found the way they presented the food on the dish quite--interesting. 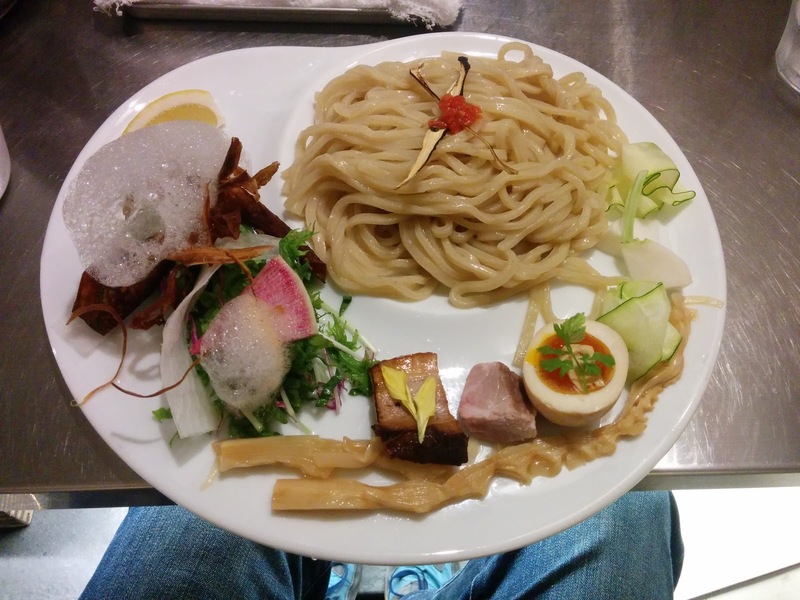 It certainly doesn't look like how most ramen-ya present a tsukemen dish.